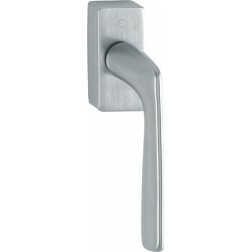 Interior door handle Hoppe model Houston on square rose. 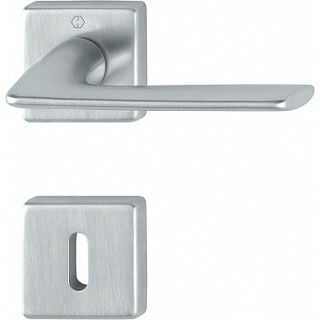 Hoppe Handle Houston series constructed in solid brass with modern shapes. The flattened handgrip has a thickness of few millimeters and widens slightly on the tail (end handle). Both finishes available are protected by patent Resist: a protective surface that lasts for 10 years. Installation is made easier with a new system called quick-fit connection that will save you time in the assembly, also are not necessary special tools.